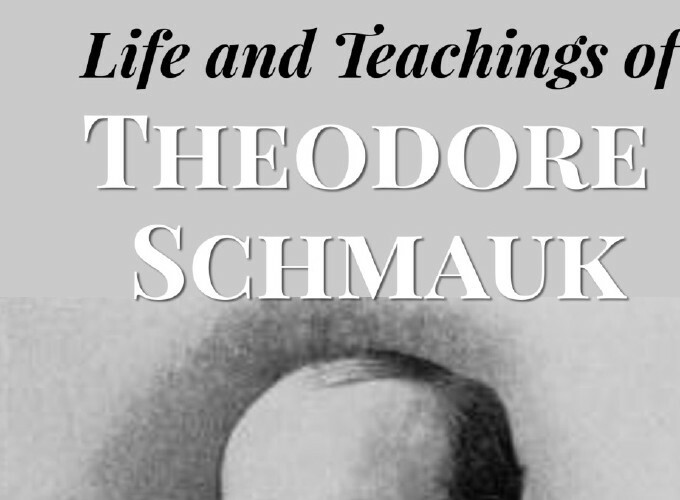 “An attempt has been made to present to the reader with some fullness what Dr. Schmauk stood for. He ranks as one of the ablest and most consistent defenders of the Lutheran faith. His catholicity of spirit enabled him to put himself in the place of his opponent and see things from the latter’s point of view…And yet he never swerved from the strong conservative position he always took by making weak or compromising concessions. “Dr. 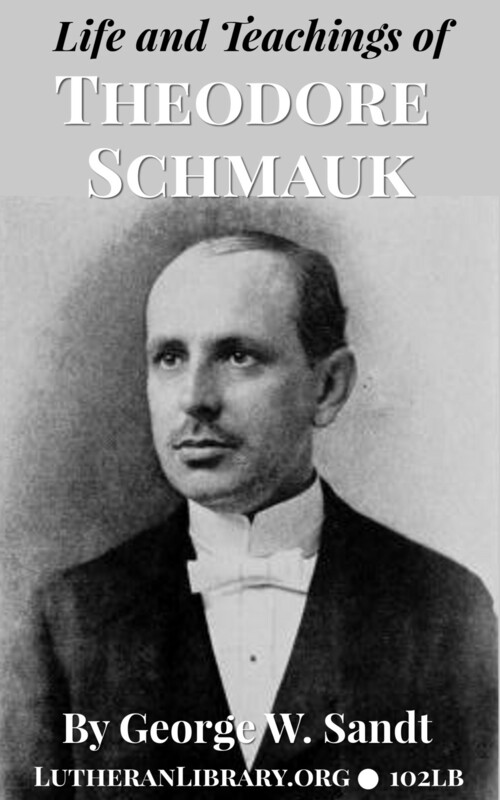 Schmauk explored so many fields of knowledge, touched so many spheres of usefulness and influence, and affixed the impress of his personality upon so many activities and movements as to make the task of presenting a well-proportioned sketch of his life and work difficult,” says George Sandt in the preface. “Our trust is not salvation by science, and therefore we are against rationalism which sets man’s own thinking above the truth of God. Our salvation is not by religious ceremony, and therefore we are against ritualism, which externalizes the service of God into a sacred and passing show. “Our salvation is not by tumultuous feeling, and therefore we are against emotionalism which makes light of facts and history and centers all on passing currents in the soul. “Our trust is not in salvation by meditation, and therefore we are against mysticism which raises the soul to God by an inner and poetic sight. These are extremes and one-sided. From them spring Swedenborgianism, spiritualism. Christian Science, theosophy, occultism, and many of the superficial religions of the moment. Lutheranism clings to God’s Written Word. Her motto is the Word of God, the whole Word of God, and nothing but the Word of God, not as a prescriptive letter, but as the power of God unto salvation.